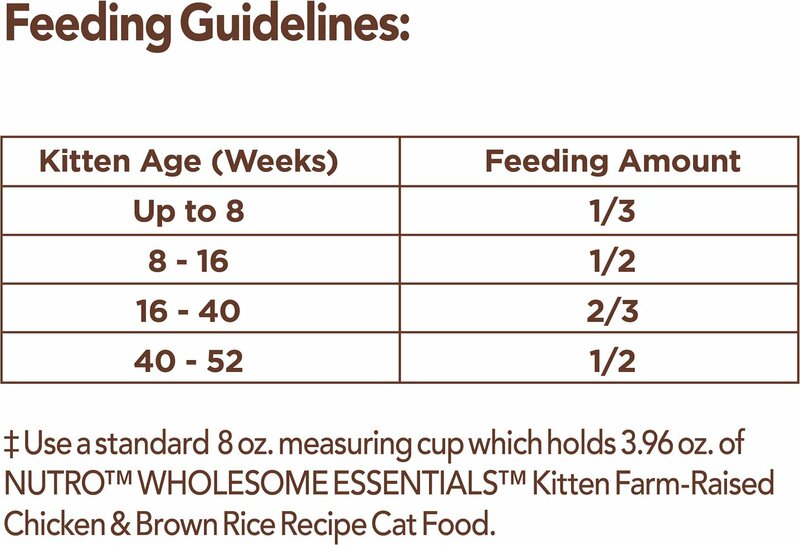 Give your growing kitty the nutrition he craves and thrives on with the Nutro Wholesome Essentials Kitten Farm-Raised Chicken & Brown Rice Recipe Dry Cat Food. 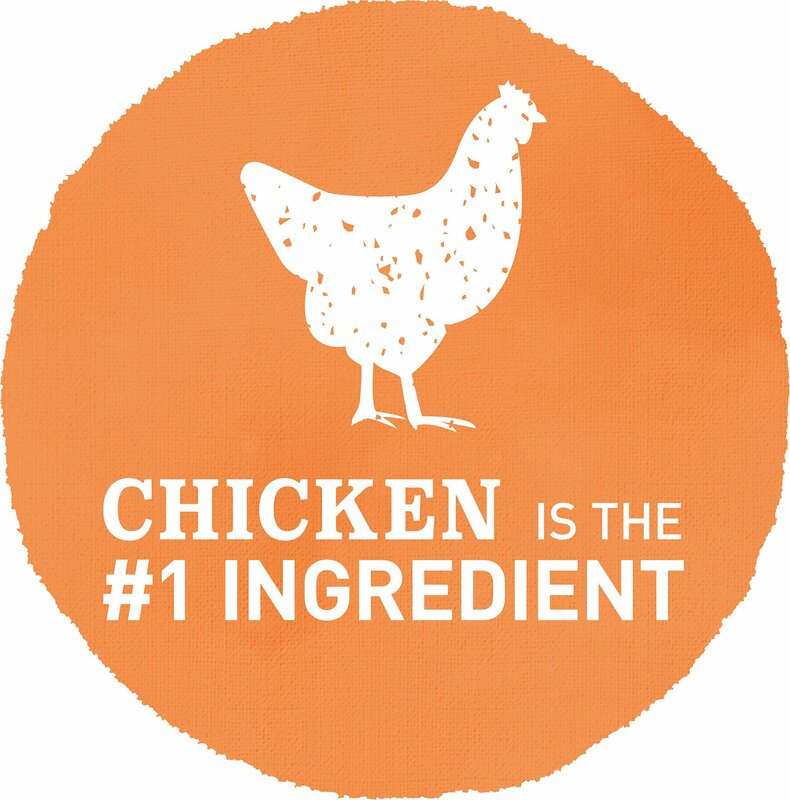 Made with farm-raised chicken as the first ingredient, it packs everything kitten needs to grow up strong in every bowl. The formula is loaded with omega 3 fatty acids like DHA for healthy growth and development, calcium to build strong growing bones, antioxidants for healthy immunity, plus vitamins, minerals and essential taurine. Plus, you won’t find any GMOs, or anything artificial, which means you can feel good about pouring it on. 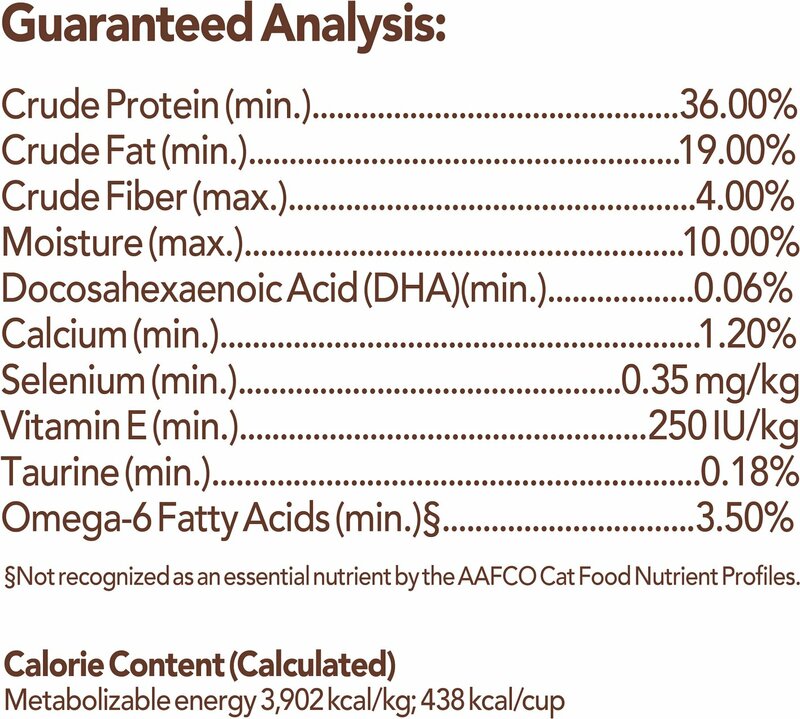 Kitten formula is made with farm-raised chicken as the first ingredient for high-quality protein and a unique blend of whole grains. Smart Start™ formula for early growth and development packs DHA as an essential omega 3, calcium for strong bones and antioxidants for immunity. Fortified with vitamins and minerals for overall health and well-being, plus taurine for eye health. Zero GMOs and no artificial flavors, colors or preservatives. 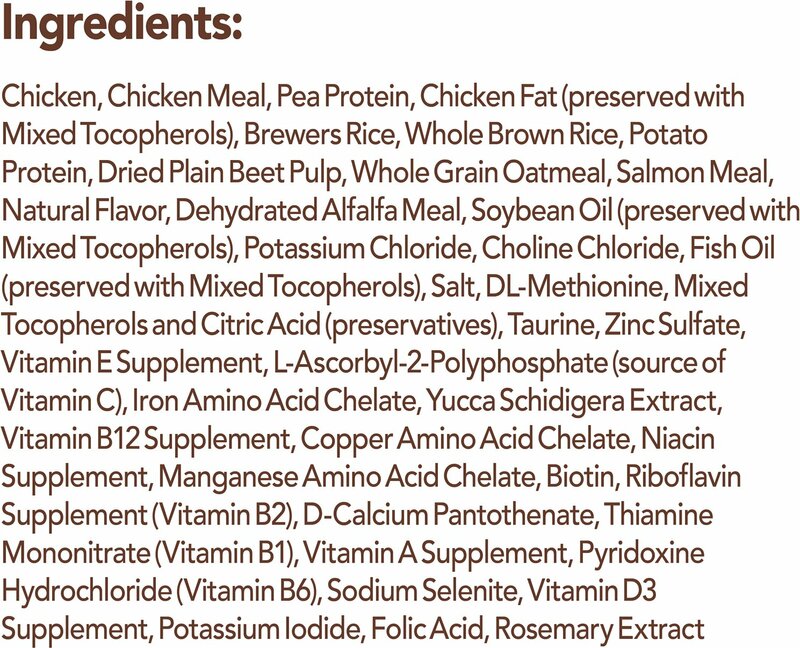 Chicken, Chicken Meal, Pea Protein, Chicken Fat (Preserved with Mixed Tocopherols), Brewer's Rice, Whole Brown Rice, Potato Protein, Dried Plain Beet Pulp, Whole Grain Oatmeal, Salmon Meal, Natural Flavors, Dehydrated Alfalfa Meal, Soybean Oil (Preserved with Mixed Tocopherols), Potassium Chloride, Choline Chloride, Fish Oil (Preserved with Mixed Tocopherols), Salt, Dl-Methionine, Taurine, Vitamin E Supplement, Zinc Sulfate, L-Ascorbyl-2-Polyphosphate (Source of Vitamin C), Iron Amino Acid Chelate, Yucca Schidigera Extract, Vitamin B12 Supplement, Copper Amino Acid Chelate, Niacin Supplement, Sodium Selenite, Manganese Amino Acid Chelate, Biotin, Riboflavin Supplement (Vitamin B2), Calcium Pantothenate, Potassium Iodide, Thiamine Mononitrate (Vitamin B1), Vitamin A Supplement, Pyridoxine Hydrochloride (Vitamin B6), Vitamin D3 Supplement, Folic Acid, Rosemary Extract, Decaffeinated Green Tea Extract, Spearmint Extract. We adopted out kitten from the shelter at 6 weeks old. She LOVED this dry food. It was easy for her to eat supplemented with the wet kitten food by Nutro. My husband and I have noticed the sleek, shiny coat of her fur! We ordered the adult food in salmon for our other cat we just adopted! My cat had kittens. She ate this kitten food when she was young and we gave it to her kittens also. Excellent diet and very tasty apparently. My new kitten is thriving on this food. I like it because I can even get it from my local grocery store. The only thing about it is that it is kind of expensive for how much you get. 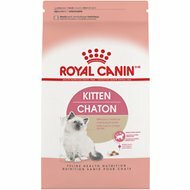 My kittens prefer this food to purina and iams. I tested all three. 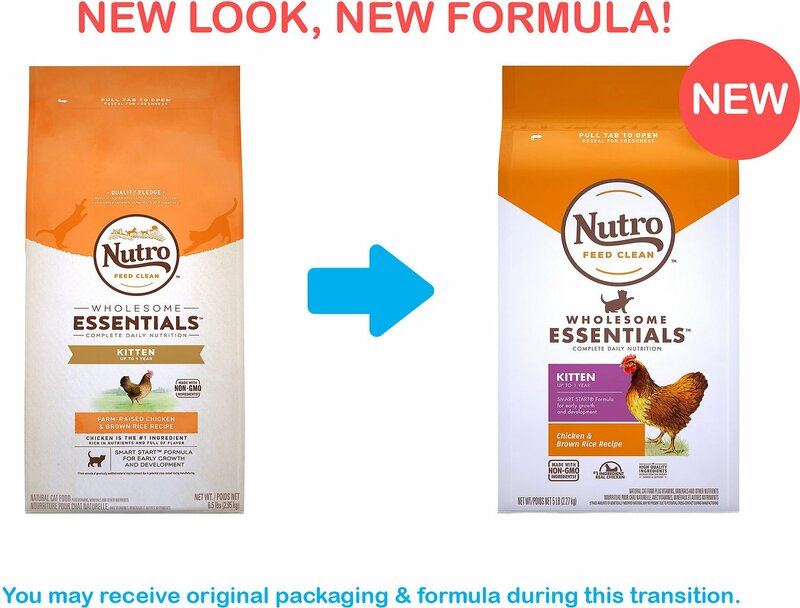 Nutro wins. The kittens love the food. They're healthy & growing and doing great according to the vet. I love that this is a natural food. My wife's new little black ninja toe assassin really seems to enjoy his new chow. 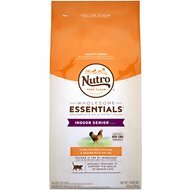 I buy nutro for all out animals and they all seem to enjoy the food, tolerate it very well and have plenty of energy and good coats. So far good buy for us. My kitten couldn't wait for me to put it down she eat its right away. 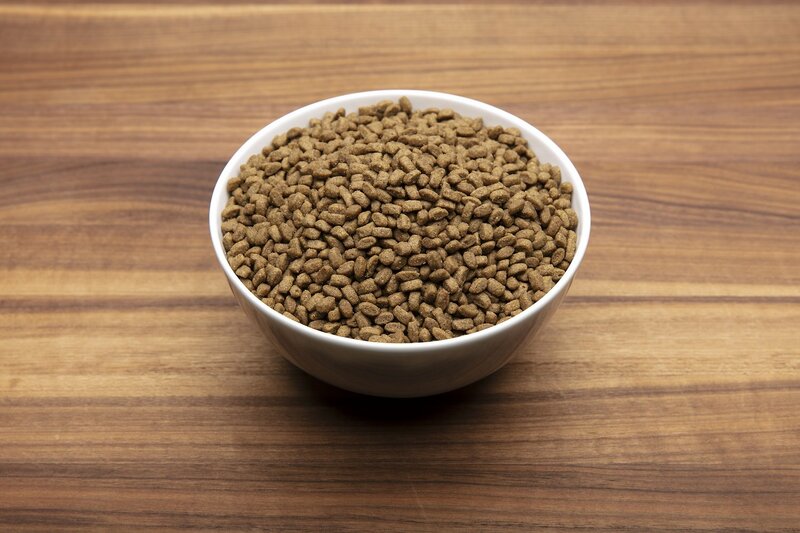 First dry food cats LOVE!